The Brangelina divorce news continues. According to TMZ, Angelina Jolie and Brad Pitt agreed to a temporary custody deal in which Jolie reportedly has physical custody of the couple's six children and Pitt gets visitation. The site's sources claim that as per the deal, Pitt's first visitation with the kids will be with a therapist present (though the therapist could then allow him to have unsupervised visits) and he will allegedly be subjected to random drug testing, as TMZ claims that Jolie is concerned about Pitt's alleged use of alcohol and marijuana (his first test came back negative, the site reports). TMZ also reports that both parents will undergo both individual and family counseling with their children. As previously reported, Jolie was reportedly seeking sole physical custody of the couple's six kids — Maddox, 15, Pax, 12, Zahara, 11, Shiloh, 10, and Knox and Vivienne, 8 — while Pitt was seeking joint physical custody. Bustle has reached out to reps for Jolie and Pitt regarding the TMZ report, and the previous claims about the custody they were seeking, but did not receive a response. 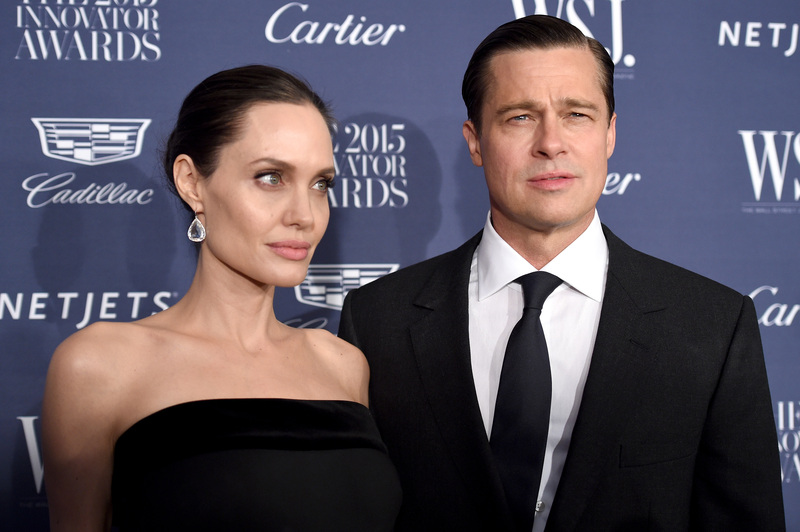 Jolie's decision to divorce Pitt reportedly occurred after an alleged incident on a flight, during which Pitt allegedly had an altercation with one of the couple's children. (At the time, TMZ reported that an allegedly "wasted" Pitt had been "physically and verbally abusive.") Though Pitt has not spoken out specifically regarding the allegations of abuse, a source close to the actor told People that Pitt denied any abuse. Pitt's rep did not return an request for comment from Bustle. "He takes the matter very seriously and says he did not commit any abuse of his children," the insider told the magazine. "It's unfortunate that people involved are continuing to present him in the worst possible light." According to TMZ, this temporary custody arrangement will only last for three weeks, and "at that point DCFS could impose new ground rules or possibly turn the matter over to the courts." Pitt and Jolie married in 2014 and had been together for more than 10 years.